Why is this young girl crying? This is a poem by an unknown [to you] drug addicted street lady. She gave it to me many years ago. 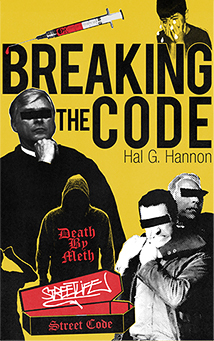 It is so powerful that I made it the preface to my book, Breaking the Code. I shed tears like rain every time I read it. But my tears don’t count. They are only tears of empathy, whereas these women’s tears are tears of pain. Therefore, they are real and they have meaning. Although the poem was written by one street lady it’s a visceral and sad reminder of the pain that some eighty-five+ percent of these ladies suffered in their youth. It is that pain which imprisons their hearts and minds and drives them to drugs in order to mask their pain, and then to prostitution to support their drug habits. It haunts me. Although I have read it a hundred times and should know it by rote. But I don’t. That’s because my mind will not allow me to memorize it. Instead, I find myself constantly forced to re-read it so as to not forget why my heart goes out to everyone of these ladies, and why your heart should also. As you read, please notice the reference to “a seed planted long ago“. Then realize what this hurting soul is telling us. Next, study the gut wrenching description of her torment and anguish. Then you will understand where child abuse, probably sexual in this particular instance, leads. This poem teaches you the impact that abuse has on our children and on the generations that follow each of them. the one I deeply want to hide. It rips all of my life apart. It makes me look like I have no heart. It makes me look like something I’m not. It shows what I have not been taught. It twists and turns, hurts and burns. The monster shows I have no concerns. No! It is somebody else’s fault and somebody else’s shame. You can run from it the rest of your life or you can do the really hard thing and deal with it. I beg you to deal it. When a child is defiled, a chain reaction is created in that family that lasts generations. If you are a victim, you need to go to the police. Even if it was decades ago, you need to tell your story. What is your point? Are you in agreement; are you disagreeing? Please, help us to understand.